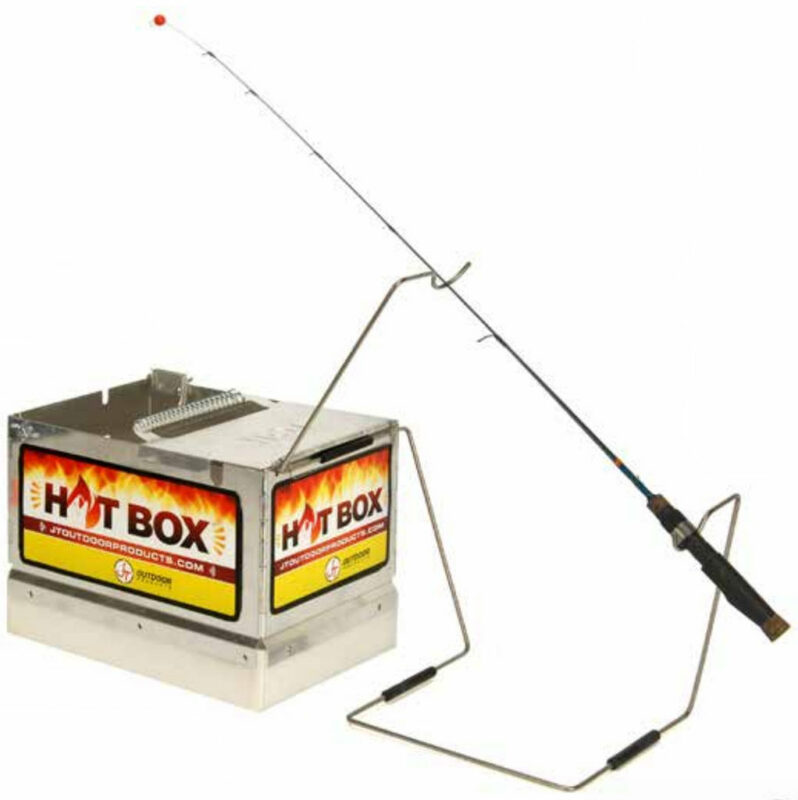 Hot Box - Keep Your Fishing Hole Open All Winter Long! Tested to keeping the ice hole from freezing to -20F with 20mph winds. 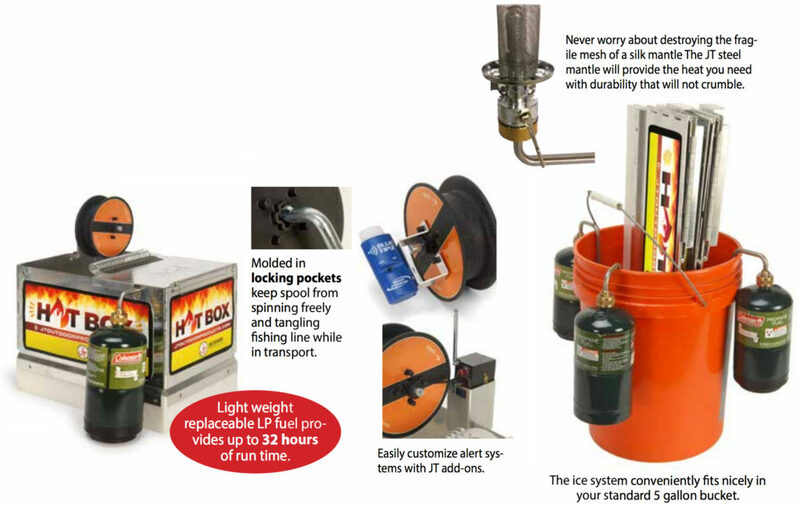 Light weight collapsible radiant heated box. Corrosion resistant and simple for operation and transportation. Maintenance free. Thermo-plastic base keeps the box from freezing into the ice. Reflective surface on spool face provides night time strike visibility. Each rotation of the spool equals 1-foot. Spool folds backwards to get out of the way when reeling in fish.